"Duke of Wellington" redirects here. For subsequent dukes, see Duke of Wellington (title). For ships, see HMS Duke of Wellington. 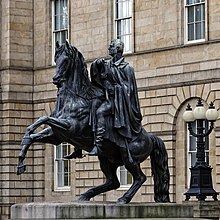 For other uses, see Duke of Wellington (disambiguation). The Duke of Wellington, by Thomas Lawrence. Painted c. 1815–16, after the Battle of Waterloo. Arthur Wellesley, 1st Duke of Wellington, KG, GCB, GCH, PC, FRS (1 May 1769 – 14 September 1852) was an Anglo-Irish soldier and Tory statesman who was one of the leading military and political figures of 19th-century Britain, serving twice as Prime Minister. His victory against Napoleon at the Battle of Waterloo in 1815 puts him in the first rank of Britain's military heroes. Wellesley was born in Dublin into the Protestant Ascendancy in Ireland. He was commissioned as an ensign in the British Army in 1787, serving in Ireland as aide-de-camp to two successive Lords Lieutenant of Ireland. He was also elected as a Member of Parliament in the Irish House of Commons. He was a colonel by 1796, and saw action in the Netherlands and in India, where he fought in the Fourth Anglo-Mysore War at the Battle of Seringapatam. He was appointed governor of Seringapatam and Mysore in 1799 and, as a newly appointed major-general, won a decisive victory over the Maratha Confederacy at the Battle of Assaye in 1803. Wellesley rose to prominence as a general during the Peninsular campaign of the Napoleonic Wars, and was promoted to the rank of field marshal after leading the allied forces to victory against the French Empire at the Battle of Vitoria in 1813. Following Napoleon's exile in 1814, he served as the ambassador to France and was granted a dukedom. During the Hundred Days in 1815, he commanded the allied army which, together with a Prussian Army under Blücher, defeated Napoleon at Waterloo. Wellington's battle record is exemplary; he ultimately participated in some 60 battles during the course of his military career. Wellington is famous for his adaptive defensive style of warfare, resulting in several victories against numerically superior forces while minimising his own losses. He is regarded as one of the greatest defensive commanders of all time, and many of his tactics and battle plans are still studied in military academies around the world. After the end of his active military career, Wellington returned to politics. He was twice British prime minister as part of the Tory party: from 1828 to 1830, and for a little less than a month in 1834. He oversaw the passage of the Catholic Relief Act 1829, but opposed the Reform Act 1832. He continued as one of the leading figures in the House of Lords until his retirement and remained Commander-in-Chief of the British Army until his death. Wellesley was born into an aristocratic Anglo-Irish family in Ireland as The Hon. Arthur Wesley, the third of five surviving sons (fourth otherwise) of Anne and Garret Wesley, 1st Earl of Mornington. His mother was the eldest daughter of The 1st Viscount Dungannon. As such, he belonged to the Protestant Ascendancy. His biographers mostly follow the same contemporary newspaper evidence in saying that he was born on 1 May 1769, the day before he was baptised. His birthplace is uncertain. He was most likely born at his parents' townhouse, 24 Upper Merrion Street, Dublin, now the Merrion Hotel. But his mother Anne, Countess of Mornington, recalled in 1815 that he had been born at 6 Merrion Street, Dublin. Other places have been put forward as the location of his birth, including Mornington House (the house next door on Upper Merrion), as his father had asserted; the Dublin packet boat; and the mansion in the family estate of Athy (consumed in the fires of 1916), as the Duke apparently put on his 1851 census return. He spent most of his childhood at his family's two homes, the first a large house in Dublin and the second Dangan Castle, 3 miles (5 km) north of Summerhill on the Trim Road (now the R158) in County Meath. In 1781, Arthur's father died and his eldest brother Richard inherited his father's earldom. He went to the diocesan school in Trim when at Dangan, Mr Whyte's Academy when in Dublin, and Brown's School in Chelsea when in London. He then enrolled at Eton College, where he studied from 1781 to 1784. His loneliness there caused him to hate it, and makes it highly unlikely that he actually said "The Battle of Waterloo was won on the playing fields of Eton", a quotation which is often attributed to him. Moreover, Eton had no playing fields at the time. In 1785, a lack of success at Eton, combined with a shortage of family funds due to his father's death, forced the young Wellesley and his mother to move to Brussels. Until his early twenties, Arthur showed little sign of distinction and his mother grew increasingly concerned at his idleness, stating, "I don't know what I shall do with my awkward son Arthur." A year later, Arthur enrolled in the French Royal Academy of Equitation in Angers, where he progressed significantly, becoming a good horseman and learning French, which later proved very useful. Upon returning to England in late 1786, he astonished his mother with his improvement. 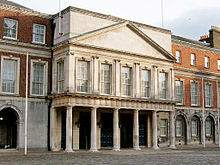 Beginning in 1787, Wellesley served at Dublin Castle (pictured) as aide-de-camp to two successive Lords Lieutenant of Ireland. Despite his new promise, he had yet to find a job and his family was still short of money, so upon the advice of his mother, his brother Richard asked his friend the Duke of Rutland (then Lord Lieutenant of Ireland) to consider Arthur for a commission in the Army. Soon afterward, on 7 March 1787, he was gazetted ensign in the 73rd Regiment of Foot. In October, with the assistance of his brother, he was assigned as aide-de-camp, on ten shillings a day (twice his pay as an ensign), to the new Lord Lieutenant of Ireland, Lord Buckingham. He was also transferred to the new 76th Regiment forming in Ireland and on Christmas Day, 1787, was promoted lieutenant. During his time in Dublin his duties were mainly social; attending balls, entertaining guests and providing advice to Buckingham. While in Ireland, he overextended himself in borrowing due to his occasional gambling, but in his defence stated that "I have often known what it was to be in want of money, but I have never got helplessly into debt". On 23 January 1788, he transferred into the 41st Regiment of Foot, then again on 25 June 1789, still a lieutenant, he transferred to the 12th (Prince of Wales's) Regiment of (Light) Dragoons and, according to military historian Richard Holmes, he also dipped a reluctant toe into politics. Shortly before the general election of 1789, he went to the rotten borough of Trim to speak against the granting of the title "Freeman" of Dublin to the parliamentary leader of the Irish Patriot Party, Henry Grattan. Succeeding, he was later nominated and duly elected as a Member of Parliament (MP) for Trim in the Irish House of Commons. Because of the limited suffrage at the time, he sat in a parliament where at least two-thirds of the members owed their election to the landowners of fewer than a hundred boroughs. Wellesley continued to serve at Dublin Castle, voting with the government in the Irish parliament over the next two years. He became a captain on 30 January 1791, and was transferred to the 58th Regiment of Foot. On 31 October, he transferred to the 18th Light Dragoons and it was during this period that he grew increasingly attracted to Kitty Pakenham, the daughter of Edward Pakenham, 2nd Baron Longford. She was described as being full of 'gaiety and charm'. In 1793, he sought her hand, but was turned down by her brother Thomas, Earl of Longford, who considered Wellesley to be a young man, in debt, with very poor prospects. An aspiring amateur musician, Wellesley, devastated by the rejection, burnt his violins in anger, and resolved to pursue a military career in earnest. He became a major by purchase in the 33rd Regiment in 1793. A few months later, in September, his brother lent him more money and with it he purchased a lieutenant-colonelcy in the 33rd. In 1793, the Duke of York was sent to Flanders in command of the British contingent of an allied force destined for the invasion of France. In June 1794, Wellesley with the 33rd regiment set sail from Cork bound for Ostend as part of an expedition bringing reinforcements for the army in Flanders. They arrived too late and joined the Duke of York as he was pulling back towards the Netherlands. On 15 September 1794, at the Battle of Boxtel, east of Breda, Wellington, in temporary command of his brigade, had his first experience of battle. During General Abercromby's withdrawal in the face of superior French forces, the 33rd held off enemy cavalry, allowing neighbouring units to retreat safely. During the extremely harsh winter that followed, Wellesley and his regiment formed part of an allied force holding the defence line along the Waal River. The 33rd, along with the rest of the army, suffered heavy losses from sickness and exposure. Wellesley's health was also affected by the damp environment. Though the campaign was to end disastrously, with the British army driven out of the United Provinces into Germany, Wellesley was to learn several valuable lessons, including the use of steady lines of infantry against advancing columns and of the merits of supporting sea-power. He understood that the failure of the campaign was due in part to the faults of the leaders and the poor organisation at headquarters. He remarked later of his time in the Netherlands that "At least I learned what not to do, and that is always a valuable lesson". Returning to England in March 1795, he was returned as a member of parliament for Trim for a second time. He hoped to be given the position of secretary of war in the new Irish government but the new lord-lieutenant, Lord Camden, was only able to offer him the post of Surveyor-General of the Ordnance. Declining the post, he returned to his regiment, now at Southampton preparing to set sail for the West Indies. After seven weeks at sea, a storm forced the fleet back to Poole. The 33rd was given time to recuperate and a few months later, Whitehall decided to send the regiment to India. Wellesley was promoted full colonel by seniority on 3 May 1796 and a few weeks later set sail for Calcutta with his regiment. Arriving in Calcutta in February 1797 he spent several months there, before being sent on a brief expedition to the Philippines, where he established a list of new hygiene precautions for his men to deal with the unfamiliar climate. Returning in November to India, he learnt that his elder brother Richard, now known as Lord Mornington, had been appointed as the new Governor-General of India. In 1798, he changed the spelling of his surname to "Wellesley"; up to this time he was still known as Wesley, which his eldest brother considered the ancient and proper spelling. As part of the campaign to extend the rule of the British East India Company, the Fourth Anglo-Mysore War broke out in 1798 against the Sultan of Mysore, Tipu Sultan. Arthur's brother Richard ordered that an armed force be sent to capture Seringapatam and defeat Tipu. Under the command of General Harris, some 24,000 troops were dispatched to Madras (to join an equal force being sent from Bombay in the west). Arthur and the 33rd sailed to join them in August. After extensive and careful logistic preparation (which would become one of Wellesley's main attributes) the 33rd left with the main force in December and travelled across 250 miles (402 km) of jungle from Madras to Mysore. On account of his brother, during the journey, Wellesley was given an additional command, that of chief advisor to the Nizam of Hyderabad's army (sent to accompany the British force). This position was to cause friction among many of the senior officers (some of whom were senior to Wellesley). Much of this friction was put to rest after the Battle of Mallavelly, some 20 miles (32 km) from Seringapatam, in which Harris's army attacked a large part of the sultan's army. During the battle, Wellesley led his men, in a line of battle of two ranks, against the enemy to a gentle ridge and gave the order to fire. After an extensive repetition of volleys, followed by a bayonet charge, the 33rd, in conjunction with the rest of Harris's force, forced Tipu's infantry to retreat. Immediately after their arrival at Seringapatam on 5 April 1799, the Battle of Seringapatam began and Wellesley was ordered to lead a night attack on the village of Sultanpettah, adjacent to the fortress to clear the way for the artillery. Because of the enemy's strong defensive preparations, and the darkness, with the resulting confusion, the attack failed with 25 casualties. Wellesley suffered a minor injury to his knee from a spent musket-ball. Although they would re-attack successfully the next day, after time to scout ahead the enemy's positions, the affair affected Wellesley. He resolved "never to attack an enemy who is preparing and strongly posted, and whose posts have not been reconnoitered by daylight". One of these groves, called the Sultanpet Tope, was intersected by deep ditches, watered from a channel running in an easterly direction about a mile from the fort. General Baird was directed to scour this grove and dislodge the enemy, but on his advancing with this object on the night of the 5th, he found the tope unoccupied. The next day, however, the Mysore troops again took possession of the ground, and as it was absolutely necessary to expel them, two columns were detached at sunset for the purpose. The first of these, under Colonel Shawe, got possession of a ruined village, which it successfully held. The second column, under Colonel Wellesley, on advancing into the tope, was at once attacked in the darkness of night by a tremendous fire of musketry and rockets. The men, floundering about amidst the trees and the water-courses, at last broke, and fell back in disorder, some being killed and a few taken prisoners. In the confusion Colonel Wellesley was himself struck on the knee by a spent ball, and narrowly escaped falling into the hands of the enemy. A few weeks later, after extensive artillery bombardment, a breach was opened in the main walls of the fortress of Seringapatam. An attack led by Major-General Baird secured the fortress. Wellesley secured the rear of the advance, posting guards at the breach and then stationed his regiment at the main palace. 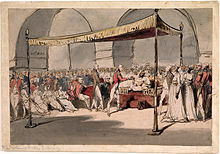 After hearing news of the death of the Tipu Sultan, Wellesley was the first at the scene to confirm his death, checking his pulse. Over the coming day, Wellesley grew increasingly concerned over the lack of discipline among his men, who drank and pillaged the fortress and city. To restore order, several soldiers were flogged and four hanged. After battle and the resulting end of the war, the main force under General Harris left Seringapatam and Wellesley, aged 30, stayed behind to command the area as the new Governor of Seringapatam and Mysore. While in India, Wellesley was ill for a considerable time, first with severe diarrhoea from the water and then with fever, followed by a serious skin infection caused by trichophyton. Wellesley was in charge of raising an Anglo-Indian expeditionary force in Trincomali in early 1801 for the capture of Batavia and Mauritius from the French. However, on the eve of its departure, orders arrived from England that it was to be sent to Egypt to co-operate with Sir Ralph Abercromby in the expulsion of the French from Egypt. Wellesley had been appointed second in command to Baird, but owing to ill-health did not accompany the expedition on 9 April 1801. This turned out fortunately for Wellesley, since the very vessel on which he was to have sailed foundered with all hands in the Red Sea. He was promoted to brigadier-general on 17 July 1801. He took residence within the Sultan's summer palace and reformed the tax and justice systems in his province to maintain order and prevent bribery. He also hunted down the mercenary and self-proclaimed 'King' Dhoondiah Waugh, who had escaped from prison in Seringapatam during the battle. In 1800, whilst serving as Governor of Mysore, Wellesley was tasked with putting down an insurgency led by Dhoondiah Waugh, formerly a Patan trooper for Tipu Sultan. After the fall of Seringapatam he became a powerful brigand, raiding villages along the Maratha–Mysore border region. Despite initial setbacks, the East India Company having pursued and destroyed his forces once already, forcing him into retreat in August 1799, he raised a sizeable force composed of disbanded Mysore soldiers, captured small outposts and forts in Mysore, and was receiving the support of several Maratha killedars opposed to British occupation. This drew the attention of the British administration, who were beginning to recognise him as more than just a bandit, as his raids, expansion and threats to destabilise British authority suddenly increased in 1800. The death of Tipu Sultan had created a power vacuum and Waugh was seeking to fill it. Given independent command of a combined East India Company and British Army force, Wellesley ventured north to confront Waugh in June 1800, with an army of 8,000 infantry and cavalry, having learned that Waugh's forces numbered over 50,000, although the majority (around 30,000) were irregular light cavalry and unlikely to pose a serious threat to British infantry and artillery. Throughout June–August 1800, Wellesley advanced through Waugh's territory, his troops escalading forts in turn and capturing each one with "trifling loss". The forts generally offered little resistance due to their poor construction and design. Wellesley did not have sufficient troops to garrison each fort, and had to clear the surrounding area of insurgents before advancing to the next fort. On 31 July, he had "taken and destroyed Dhoondiah's baggage and six guns, and driven into the Malpoorba (where they were drowned) about five thousand people". Dhoondiah continued to retreat, but his forces were rapidly deserting, he had no infantry and due to the monsoon weather flooding river crossings he could no longer outpace the British advance. 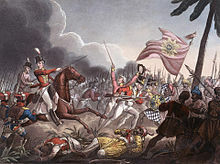 On 10 September, at the Battle of Conaghul, Wellesley personally led a charge of 1,400 British dragoons and Indian cavalry, in single line with no reserve, against Dhoondiah and his remaining 5,000 cavalry. Dhoondiah was killed during the clash, his body was discovered and taken to the British camp tied to a cannon. With this victory Wellesley's campaign was concluded, British authority had been restored. Wellesley, with command of four regiments, had defeated Dhoondiah's larger rebel force, along with Dhoondiah himself, who was killed in the final battle. Wellesley then paid for the future upkeep of Dhoondiah's orphaned son. In September 1802, Wellesley learnt that he had been promoted to the rank of major-general. He had been gazetted on 29 April 1802, but the news took several months to reach him by sea. He remained at Mysore until November when he was sent to command an army in the Second Anglo-Maratha War. When he determined that a long defensive war would ruin his army, Wellesley decided to act boldly to defeat the numerically larger force of the Maratha Empire. With the logistic assembly of his army complete (24,000 men in total) he gave the order to break camp and attack the nearest Maratha fort on 8 August 1803. The fort surrendered on 12 August after an infantry attack had exploited an artillery-made breach in the wall. With the fort now in British control Wellesley was able to extend control southwards to the river Godavari. Arthur Wellesley (mounted) at the Battle of Assaye (engraving after William Heath). Wellesley later remarked that it was his greatest victory. Splitting his army into two forces, to pursue and locate the main Marathas army, (the second force, commanded by Colonel Stevenson was far smaller) Wellesley was preparing to rejoin his forces on 24 September. His intelligence, however, reported the location of the Marathas' main army, between two rivers near Assaye. If he waited for the arrival of his second force, the Marathas would be able to mount a retreat, so Wellesley decided to launch an attack immediately. On 23 September, Wellesley led his forces over a ford in the river Kaitna and the Battle of Assaye commenced. After crossing the ford the infantry was reorganised into several lines and advanced against the Maratha infantry. Wellesley ordered his cavalry to exploit the flank of the Maratha army just near the village. During the battle Wellesley himself came under fire; two of his horses were shot from under him and he had to mount a third. At a crucial moment, Wellesley regrouped his forces and ordered Colonel Maxwell (later killed in the attack) to attack the eastern end of the Maratha position while Wellesley himself directed a renewed infantry attack against the centre. An officer in the attack wrote of the importance of Wellesley's personal leadership: "The General was in the thick of the action the whole time ... I never saw a man so cool and collected as he was ... though I can assure you, 'til our troops got the order to advance the fate of the day seemed doubtful ..." With some 6,000 Marathas killed or wounded, the enemy was routed, though Wellesley's force was in no condition to pursue. British casualties were heavy: the British losses were counted as 409 soldiers being killed out of which 164 were Europeans and the remaining 245 were Indian; a further 1,622 British soldiers were wounded and 26 soldiers were reported missing (the British casualty figures were taken from Wellesley's own despatch). Wellesley was troubled by the loss of men and remarked that he hoped "I should not like to see again such loss as I sustained on 23 September, even if attended by such gain". Years later, however, he remarked that Assaye, and not Waterloo, was the best battle he ever fought. Despite the damage done to the Maratha army, the battle did not end the war. A few months later in November, Wellesley attacked a larger force near Argaum, leading his army to victory again, with an astonishing 5,000 enemy dead at the cost of only 361 British casualties. A further successful attack at the fortress at Gawilghur, combined with the victory of General Lake at Delhi forced the Maratha to sign a peace settlement at Anjangaon (not concluded until a year later) called the Treaty of Surji-Anjangaon. Military historian Richard Holmes remarked that Wellesley's experiences in India had an important influence on his personality and military tactics, teaching him much about military matters that would prove vital to his success in the Peninsular War. These included a strong sense of discipline through drill and order, the use of diplomacy to gain allies, and the vital necessity for a secure supply line. He also established a high regard for the acquisition of intelligence through scouts and spies. His personal tastes also developed, including dressing himself in white trousers, a dark tunic, with Hessian boots and black cocked hat (that later became synonymous as his style). Wellesley had grown tired of his time in India, remarking "I have served as long in India as any man ought who can serve anywhere else". In June 1804 he applied for permission to return home and as a reward for his service in India he was made a Knight of the Bath in September. While in India, Wellesley had amassed a fortune of £42,000 (considerable at the time), consisting mainly of prize money from his campaign. When his brother's term as Governor-General of India ended in March 1805, the brothers returned together to England on HMS Howe. Arthur, coincidentally, stopped on his voyage at the little island of Saint Helena and stayed in the same building to which Napoleon I would later be exiled. In September 1805, Major-General Wellesley was newly returned from his campaigns in India and was not yet particularly well known to the public. He reported to the office of the Secretary for War to request a new assignment. In the waiting room he met Vice-Admiral Horatio Nelson, already a legendary figure after his victories at the Nile and Copenhagen, who was briefly in England after months chasing the French Toulon fleet to the West Indies and back. Some 30 years later, Wellington recalled a conversation that Nelson began with him which Wellesley found "almost all on his side in a style so vain and silly as to surprise and almost disgust me". Nelson left the room to inquire who the young general was and, on his return, switched to a very different tone, discussing the war, the state of the colonies, and the geopolitical situation as between equals. On this second discussion, Wellington recalled, "I don't know that I ever had a conversation that interested me more". This was the only time that the two men met; Nelson was killed at his great victory at Trafalgar just seven weeks later. Wellesley then served in the abortive Anglo-Russian expedition to north Germany in 1805, taking a brigade to Elbe. He then took a period of extended leave from the army and was elected as a Tory member of the British parliament for Rye in January 1806. A year later, he was elected MP for Newport on the Isle of Wight and was then appointed to serve as Chief Secretary for Ireland, under the Duke of Richmond. At the same time, he was made a privy counsellor. While in Ireland, he gave a verbal promise that the remaining Penal Laws would be enforced with great moderation, perhaps an indication of his later willingness to support Catholic Emancipation. Wellesley was in Ireland in May 1807 when he heard of the British expedition to Denmark. He decided to go, stepping down from his political appointments and was appointed to command an infantry brigade in the Second Battle of Copenhagen which took place in August. He fought at the Køge, during which the men under his command took 1,500 prisoners, with Wellesley later present during the surrender. By 30 September, he had returned to England and was raised to the rank of lieutenant general on 25 April 1808. In June 1808 he accepted the command of an expedition of 9,000 men. Preparing to sail for an attack on the Spanish colonies in South America (to assist the Latin American patriot Francisco de Miranda) his force was instead ordered to sail for Portugal, to take part in the Peninsular Campaign and rendezvous with 5,000 troops from Gibraltar. Ready for battle, Wellesley left Cork on 12 July 1808 to participate in the war against French forces in the Iberian Peninsula, with his skills as a commander tested and developed. According to the historian Robin Neillands, "Wellesley had by now acquired the experience on which his later successes were founded. He knew about command from the ground up, about the importance of logistics, about campaigning in a hostile environment. He enjoyed political influence and realised the need to maintain support at home. Above all, he had gained a clear idea of how, by setting attainable objectives and relying on his own force and abilities, a campaign could be fought and won." Wellesley defeated the French at the Battle of Roliça and the Battle of Vimeiro in 1808 but was superseded in command immediately after the latter battle. General Dalrymple then signed the controversial Convention of Sintra, which stipulated that the Royal Navy transport the French army out of Lisbon with all their loot, and insisted on the association of the only available government minister, Wellesley. Dalrymple and Wellesley were recalled to Britain to face a Court of Enquiry. Wellesley had agreed to sign the preliminary armistice, but had not signed the convention, and was cleared. Meanwhile, Napoleon himself entered Spain with his veteran troops to put down the revolt; the new commander of the British forces in the Peninsula, Sir John Moore, died during the Battle of Corunna in January 1809. Although overall the land war with France was not going well from a British perspective, the Peninsula was the one theatre where they, with the Portuguese, had provided strong resistance against France and her allies. This contrasted with the disastrous Walcheren expedition, which was typical of the mismanaged British operations of the time. 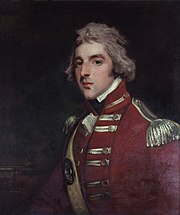 Wellesley submitted a memorandum to Lord Castlereagh on the defence of Portugal. He stressed its mountainous frontiers and advocated Lisbon as the main base because the Royal Navy could help to defend it. Castlereagh and the cabinet approved the memo, appointed him head of all British forces in Portugal. Wellesley arrived in Lisbon on 22 April 1809 on board HMS Surveillante, after narrowly escaping shipwreck. Reinforced, he took to the offensive. In the Second Battle of Porto he crossed the Douro river in a daylight coup de main, and routed Marshal Soult's French troops in Porto. With Portugal secured, Wellesley advanced into Spain to unite with General Cuesta's forces. The combined allied force prepared for an assault on Marshal Victor's I Corps at Talavera, 23 July. Cuesta, however, was reluctant to agree, and was only persuaded to advance on the following day. The delay allowed the French to withdraw, but Cuesta sent his army headlong after Victor, and found himself faced by almost the entire French army in New Castile—Victor had been reinforced by the Toledo and Madrid garrisons. The Spanish retreated precipitously, necessitating the advance of two British divisions to cover their retreat. The next day, 27 July, at the Battle of Talavera the French advanced in three columns and were repulsed several times throughout the day by Wellesley, but at a heavy cost to the British force. In the aftermath Marshal Soult's army was discovered to be advancing south, threatening to cut Wellesley off from Portugal. Wellesley moved east on 3 August to block it, leaving 1,500 wounded in the care of the Spanish, intending to confront Soult before finding out that the French were in fact 30,000 strong. The British commander sent the Light Brigade on a dash to hold the bridge over the Tagus River at Almaraz. With communications and supply from Lisbon secured for now, Wellesley considered joining with Cuesta again but found out that his Spanish ally had abandoned the British wounded to the French and was thoroughly uncooperative, promising and then refusing to supply the British forces, aggravating Wellesley and causing considerable friction between the British and their Spanish allies. The lack of supplies, coupled with the threat of French reinforcement (including the possible inclusion of Napoleon himself) in the spring, led to the British deciding to retreat into Portugal. Following his victory at Talavera, Wellesley was elevated to the Peerage of the United Kingdom on 26 August 1809 as Viscount Wellington of Talavera and of Wellington, in the County of Somerset, with the subsidiary title of Baron Douro of Wellesley, in the said County. In 1810, a newly enlarged French army under Marshal André Masséna invaded Portugal. British opinion both at home and in the army was negative and there were suggestions that they must evacuate Portugal. Instead, Lord Wellington first slowed the French down at Buçaco; he then prevented them from taking the Lisbon Peninsula by the construction of his massive earthworks, the Lines of Torres Vedras, which had been assembled in complete secrecy and had flanks guarded by the Royal Navy. The baffled and starving French invasion forces retreated after six months. Wellington's pursuit was frustrated by a series of reverses inflicted by Marshal Ney in a much-lauded rear guard campaign. 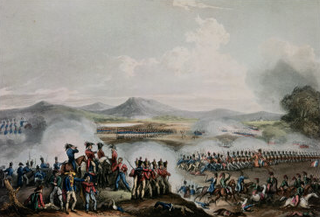 In 1811, Masséna returned toward Portugal to relieve Almeida; Wellington narrowly checked the French at the Battle of Fuentes de Onoro. Simultaneously, his subordinate, Viscount Beresford, fought Soult's 'Army of the South' to a mutual bloody standstill at the Battle of Albuera in May. Wellington was promoted to full general on 31 July for his services. The French abandoned Almeida, slipping away from British pursuit, but retained the twin Spanish fortresses of Ciudad Rodrigo and Badajoz, the 'Keys' guarding the roads through the mountain passes into Portugal. In 1812, Wellington finally captured Ciudad Rodrigo by a rapid movement as the French went into winter quarters, storming it before they could react. He then moved south quickly, besieged the fortress of Badajoz for a month and captured it during one bloody night. On viewing the aftermath of the Storming of Badajoz, Wellington lost his composure and cried at the sight of the bloody carnage in the breaches. His army now was a veteran British force reinforced by units of the retrained Portuguese army. Campaigning in Spain, he routed the French at the Battle of Salamanca, taking advantage of a minor French mispositioning. The victory liberated the Spanish capital of Madrid. As a reward, he was created Earl of Wellington, in the county of Somerset on 22 February 1812, and then Marquess of Wellington, in the said county on 18 August 1812, and given command of all Allied armies in Spain. Wellington attempted to take the vital fortress of Burgos, which linked Madrid to France. But failure, due in part to a lack of siege guns, forced him into a headlong retreat with the loss of over 2,000 casualties. The French abandoned Andalusia, and combined the troops of Soult and Marmont. Thus combined, the French outnumbered the British, putting the British forces in a precarious position. Wellington withdrew his army and, joined with the smaller corps commanded by Rowland Hill, began to retreat to Portugal. Marshal Soult declined to attack. In 1813, Wellington led a new offensive, this time against the French line of communications. He struck through the hills north of Burgos, the Tras os Montes, and switched his supply line from Portugal to Santander on Spain's north coast; this led to the French abandoning Madrid and Burgos. Continuing to outflank the French lines, Wellington caught up with and smashed the army of King Joseph Bonaparte in the Battle of Vitoria, for which he was promoted to field marshal on 21 June. He personally led a column against the French centre, while other columns commanded by Sir Thomas Graham, Rowland Hill and the Earl of Dalhousie looped around the French right and left (this battle became the subject of Beethoven's opus 91, Wellington's Victory). The British troops broke ranks to loot the abandoned French wagons instead of pursuing the beaten foe. This gross abandonment of discipline caused an enraged Wellington to write in a famous dispatch to Earl Bathurst, "We have in the service the scum of the earth as common soldiers". Although later, when his temper had cooled, he extended his comment to praise the men under his command saying that though many of the men were, "the scum of the earth; it is really wonderful that we should have made them to the fine fellows they are". After taking the small fortresses of Pamplona, Wellington invested San Sebastián but was frustrated by the obstinate French garrison, losing 693 dead and 316 captured in a failed assault and suspending the siege at the end of July. Soult's relief attempt was blocked by the Spanish Army of Galicia at San Marcial, allowing the Allies to consolidate their position and tighten the ring around the city, which fell in September after a second spirited defence. Wellington then forced Soult's demoralised and battered army into a fighting retreat into France, punctuated by battles at the Pyrenees, Bidassoa and Nivelle. Wellington invaded southern France, winning at the Nive and Orthez. Wellington's final battle against his rival Soult occurred at Toulouse, where the Allied divisions were badly mauled storming the French redoubts, losing some 4,600 men. Despite this momentary victory, news arrived of Napoleon's defeat and abdication and Soult, seeing no reason to continue the fighting, agreed on a ceasefire with Wellington, allowing Soult to evacuate the city. Hailed as the conquering hero by the British, on 3 May 1814 Wellington was made Duke of Wellington, in the county of Somerset, together with the subsidiary title of Marquess Douro, in the said County. He received some recognition during his lifetime (the title of "Duque de Ciudad Rodrigo" and "Grandee of Spain") and the Spanish King Ferdinand VII allowed him to keep part of the works of art from the Royal Collection which he had recovered from the French. His equestrian portrait features prominently in the Monument to the Battle of Vitoria, in present-day Vitoria-Gasteiz. His popularity in Britain was due to his image and his appearance as well as to his military triumphs. His victory fitted well with the passion and intensity of the Romantic movement, with its emphasis on individuality. His personal style influenced the fashions on Britain at the time: his tall, lean figure and his plumed black hat and grand yet classic uniform and white trousers became very popular. I think you have no right, from the state of war, to demand any concession of territory from America... You have not been able to carry it into the enemy's territory, notwithstanding your military success, and now undoubted military superiority, and have not even cleared your own territory on the point of attack. You cannot on any principle of equality in negotiation claim a cession of territory except in exchange for other advantages which you have in your power... Then if this reasoning be true, why stipulate for the uti possidetis? You can get no territory: indeed, the state of your military operations, however creditable, does not entitle you to demand any. He was appointed Ambassador to France, then took Lord Castlereagh's place as first plenipotentiary to the Congress of Vienna, where he strongly advocated allowing France to keep its place in the European balance of power. On 2 January 1815 the title of his Knighthood of the Bath was converted to Knight Grand Cross upon the expansion of that order. Wellesley. Engraving by William Say after Thomas Phillips. On 26 February 1815, Napoleon escaped from Elba and returned to France. He regained control of the country by May and faced a renewed alliance against him. Wellington left Vienna for what became known as the Waterloo Campaign. He arrived in Belgium to take command of the British-German army and their allied Dutch-Belgians, all stationed alongside the Prussian forces of Generalfeldmarschall Gebhard Leberecht von Blücher. Napoleon's strategy was to isolate the Allied and Prussian armies, and annihilate each one separately before the Austrians and Russians arrived. In doing so the vast superiority in numbers of the Coalition would be greatly diminished. He would then seek the possibility of a peace with Austria and Russia. The French invaded Belgium, with Napoleon defeating the Prussians at Ligny, and Marshal Ney engaging indecisively with Wellington, at the Battle of Quatre Bras. The Prussians retreated 18 miles north to Wavre whilst Wellington's Anglo-Allied army withdrew 15 miles north to a site he had noted the previous year as favourable for a battle: the north ridge of a shallow valley on the Brussels road, just south of the small town of Waterloo. On 17 June there was torrential rain, which severely hampered movement and had a considerable effect the next day, 18 June, when the Battle of Waterloo was fought. This was the first time Wellington had encountered Napoleon; he commanded an Anglo-Dutch-German army that consisted of approximately 73,000 troops, 26,000 of whom were British. Approximately 30 percent of that 26,000 were Irish. The Battle of Waterloo commenced with a diversionary attack on Hougoumont by a division of French soldiers. After a barrage of 80 cannons the first French infantry attack was launched by Comte D'Erlon's I Corps. D'Erlon's troops advanced through the Allied centre, resulting in Allied troops in front of the ridge retreating in disorder through the main position. D'Erlon's corps stormed the most fortified Allied position, La Haye Sainte, but failed to take it. An Allied division under Thomas Picton met the remainder of D'Erlon's corps head to head, engaging them in an infantry duel in which Picton fell. During this struggle Lord Uxbridge launched two of his cavalry brigades at the enemy, catching the French infantry off guard, driving them to the bottom of the slope, and capturing two French Imperial Eagles. The charge, however, over-reached itself, and the British cavalry, crushed by fresh French horsemen hurled at them by Napoleon, were driven back, suffering tremendous losses. A little before 16:00, Marshal Ney noted an apparent exodus from Wellington's centre. He mistook the movement of casualties to the rear for the beginnings of a retreat, and sought to exploit it. Ney at this time had few infantry reserves left, as most of the infantry had been committed either to the futile Hougoumont attack or to the defence of the French right. Ney therefore tried to break Wellington's centre with a cavalry charge alone. The Grenadiers à Cheval. Napoleon can be seen in the background on a grey horse. At about 16:30, the first Prussian corps arrived. Commanded by Freiherr von Bülow, IV Corps arrived as the French cavalry attack was in full spate. Bülow sent the 15th Brigade to link up with Wellington's left flank in the Frichermont–La Haie area while the brigade's horse artillery battery and additional brigade artillery deployed to its left in support. Napoleon sent Lobau's corps to intercept the rest of Bülow's IV Corps proceeding to Plancenoit. The 15th Brigade sent Lobau's corps into retreat to the Plancenoit area. Von Hiller's 16th Brigade also pushed forward with six battalions against Plancenoit. Napoleon had dispatched all eight battalions of the Young Guard to reinforce Lobau, who was now seriously pressed by the enemy. Napoleon's Young Guard counter-attacked and, after very hard fighting, secured Plancenoit, but were themselves counter-attacked and driven out. Napoleon then resorted to sending two battalions of the Middle and Old Guard into Plancenoit and after ferocious fighting they recaptured the village. The French cavalry attacked the British infantry squares many times, each at heavy cost to the French but with few British casualties. Ney himself was displaced from his horse four times. Eventually it became obvious, even to Ney, that cavalry alone were achieving little. Belatedly, he organised a combined-arms attack, using Bachelu's division and Tissot's regiment of Foy's division from Reille's II Corps plus those French cavalry that remained in a fit state to fight. This assault was directed along much the same route as the previous heavy cavalry attacks. Meanwhile, at approximately the same time as Ney's combined-arms assault on the centre-right of Wellington's line, Napoleon ordered Ney to capture La Haye Sainte at whatever the cost. Ney accomplished this with what was left of D'Erlon's corps soon after 18:00. Ney then moved horse artillery up towards Wellington's centre and began to destroy the infantry squares at short-range with canister. This all but destroyed the 27th (Inniskilling) Regiment, and the 30th and 73rd Regiments suffered such heavy losses that they had to combine to form a viable square. Wellington's centre was now on the verge of collapse and wide open to an attack from the French. Luckily for Wellington, Pirch I's and Zieten's corps of the Prussian Army were now at hand. Zieten's corps permitted the two fresh cavalry brigades of Vivian and Vandeleur on Wellington's extreme left to be moved and posted behind the depleted centre. Pirch I Corps then proceeded to support Bülow and together they regained possession of Plancenoit, and once more the Charleroi road was swept by Prussian round shot. The value of this reinforcement at this particular moment can hardly be overestimated. The French army now fiercely attacked the Coalition all along the line with the culminating point being reached when Napoleon sent forward the Imperial Guard at 19:30. 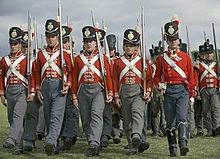 The attack of the Imperial Guards was mounted by five battalions of the Middle Guard, and not by the Grenadiers or Chasseurs of the Old Guard. Marching through a hail of canister and skirmisher fire and severely outnumbered, the 3,000 or so Middle Guardsmen advanced to the west of La Haye Sainte and proceeded to separate into three distinct attack forces. One, consisting of two battalions of Grenadiers, defeated the Coalition's first line and marched on. Chassé's relatively fresh Dutch division was sent against them and Allied artillery fired into the victorious Grenadiers' flank. This still could not stop the Guard's advance, so Chassé ordered his first brigade to charge the outnumbered French, who faltered and broke. Further to the west, 1,500 British Foot Guards under Maitland were lying down to protect themselves from the French artillery. As two battalions of Chasseurs approached, the second prong of the Imperial Guard's attack, Maitland's guardsmen rose and devastated them with point-blank volleys. The Chasseurs deployed to counter-attack, but began to waver. A bayonet charge by the Foot Guards then broke them. The third prong, a fresh Chasseur battalion, now came up in support. The British guardsmen retreated with these Chasseurs in pursuit, but the latter were halted as the 52nd Light Infantry wheeled in line onto their flank and poured a devastating fire into them and then charged. Under this onslaught they too broke. The last of the Guard retreated headlong. A ripple of panic passed through the French lines as the astounding news spread: "La Garde recule. Sauve qui peut!" ("The Guard retreats. Save yourself if you can!"). Wellington then stood up in Copenhagen's stirrups, and waved his hat in the air to signal an advance of the Allied line just as the Prussians were overrunning the French positions to the east. What remained of the French army then abandoned the field in disorder. Wellington and Blücher met at the inn of La Belle Alliance, on the north-south road which bisected the battlefield, and it was agreed that the Prussians should pursue the retreating French army back to France. The Treaty of Paris was signed on 20 November 1815. ... the expediency of giving to the non commissioned officers and soldiers engaged in the Battle of Waterloo a medal. I am convinced it would have the best effect in the army, and if the battle should settle our concerns, they will well deserve it. The Waterloo Medal was duly authorised and distributed to all ranks in 1816. Much historical discussion has been made about Napoleon's decision to send 33,000 troops under Marshal Grouchy to intercept the Prussians, but—having defeated Blücher at Ligny on 16 June and forced the Allies to retreat in divergent directions—Napoleon may have been strategically astute in a judgement that he would have been unable to beat the combined Allied forces on one battlefield. Wellington's comparable strategic gamble was to leave 17,000 troops and artillery, mostly Dutch and Belgian, 8.1 mi (13.0 km) away at Halle, north-west of Mont-Saint-Jean, in case of a French advance up the Mons-Hal-Brussels road. The campaign led to numerous other controversies, especially concerning the Prussians. For example: Were Wellington's troop dispositions prior to Napoleon's invasion of Belgium sound? Did Wellington somehow mislead or betray Blücher by promising, then failing, to come directly to Blücher's aid at Ligny? Who deserved the lion's share of credit for the victory—Wellington or the Prussians? These and other such issues concerning Blücher's, Wellington's, and Napoleon's decisions during the campaign were the subject of a major strategic-level study by the famous Prussian political-military theorist Carl von Clausewitz, Feldzug von 1815: Strategische Uebersicht des Feldzugs von 1815, English title: The Campaign of 1815: Strategic Overview of the Campaign. Written c.1827, this study was Clausewitz's last such work and is widely considered to be the best example of Clausewitz's mature theories concerning such analyses. 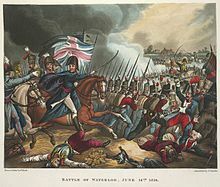 It attracted the attention of Wellington's staff, who prompted the Duke to write his only published essay on the campaign (other than his immediate, official after-action report, "The Waterloo Dispatch"), his 1842 "Memorandum on the Battle of Waterloo". While Wellington disputed Clausewitz on several points, the Prussian writer largely absolved Wellington of accusations levelled against him by nationalistic German axe-grinders. This exchange with Clausewitz was quite famous in Britain in the 19th century (it was heavily discussed in, for example, Chesney's Waterloo Lectures (1868).) It seems, however, to have been systematically ignored by British historians writing since 1914, which is odd considering that it was one of only two discussions of the battle that Wellington wrote. The explanation, unfortunately, is probably that it drew too much attention to the decisive German role in Wellington's victory—which Wellington himself was perfectly happy to acknowledge, but which became an awkward subject given Anglo-German hostilities in the 20th century. Wellington entered politics again when he was appointed Master-General of the Ordnance in the Tory government of Lord Liverpool on 26 December 1818. He also became Governor of Plymouth on 9 October 1819. He was appointed Commander-in-Chief of the British Army on 22 January 1827 and Constable of the Tower of London on 5 February 1827. Along with Robert Peel, Wellington became an increasingly influential member of the Tory party, and in 1828 he resigned as Commander-in-Chief and became Prime Minister. During his first seven months as prime minister he chose not to live in the official residence at 10 Downing Street, finding it too small. He moved in only because his own home, Apsley House, required extensive renovations. During this time he was largely instrumental in the foundation of King's College London. On 20 January 1829 Wellington was appointed Lord Warden of the Cinque Ports. His term was marked by Catholic emancipation: the granting of almost full civil rights to Catholics in Great Britain and Ireland. The change was prompted by the landslide by-election win of Daniel O'Connell, an Irish Catholic proponent of emancipation, who was elected despite not being legally allowed to sit in Parliament. In the House of Lords, facing stiff opposition, Wellington spoke for Catholic Emancipation, and according to some sources, gave one of the best speeches of his career. He was born in Ireland and so had some understanding of the grievances of the Catholic communities there; as Chief Secretary, he had given an undertaking that the remaining Penal Laws would only be enforced as "mildly" as possible. In 1811 Catholic soldiers were given freedom of worship and 18 years later the Catholic Relief Act 1829 was passed with a majority of 105. Many Tories voted against the Act, and it passed only with the help of the Whigs. Wellington had threatened to resign as Prime Minister if the King (George IV) did not give his Royal Assent. 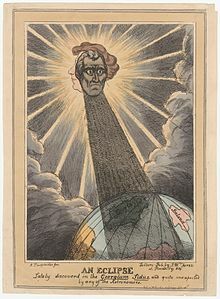 The Earl of Winchilsea accused the Duke of "an insidious design for the infringement of our liberties and the introduction of Popery into every department of the State". Wellington responded by immediately challenging Winchilsea to a duel. On 21 March 1829, Wellington and Winchilsea met on Battersea fields. When the time came to fire, the Duke took aim and Winchilsea kept his arm down. The Duke fired wide to the right. Accounts differ as to whether he missed on purpose, an act known in dueling as a delope. Wellington claimed he did. However, he was noted for his poor aim and reports more sympathetic to Winchilsea claimed he had aimed to kill. Winchilsea did not fire, a plan he and his second had almost certainly decided upon before the duel. Honour was saved and Winchilsea wrote Wellington an apology. The nickname "Iron Duke" originates from this period, when he experienced a high degree of personal and political unpopularity. Its repeated use in Freeman's Journal throughout June 1830 appears to bear reference to his resolute political will, with taints of disapproval from its Irish editors. His residence at Apsley House was targeted by a mob of demonstrators on 27 April 1831 and again on 12 October, leaving his windows smashed. Iron shutters were installed in June 1832 to prevent further damage by crowds angry over rejection of the Reform Bill, which he strongly opposed. Wellington's government fell in 1830. In the summer and autumn of that year, a wave of riots swept the country. The Whigs had been out of power for most years since the 1770s, and saw political reform in response to the unrest as the key to their return. Wellington stuck to the Tory policy of no reform and no expansion of suffrage, and as a result lost a vote of no confidence on 15 November 1830. The Whigs introduced the first Reform Bill while Wellington and the Tories worked to prevent its passage. The Whigs could not get the bill past its second reading in the British House of Commons, and the bill failed. An election followed in direct response, and the Whigs were returned with a landslide majority. A second Reform Act was introduced and passed in the House of Commons, but was defeated in the Tory-controlled House of Lords. Another wave of near insurrection swept the country. During this time, Wellington was greeted by a hostile reaction from the crowds at the opening of the Liverpool and Manchester Railway. The Whig Government fell in 1832 and Wellington was unable to form a Tory Government partly because of a run on the Bank of England. This left King William IV no choice but to restore Earl Grey to the premiership. Eventually the bill passed the House of Lords after the King threatened to fill that House with newly created Whig peers if it were not. Wellington was never reconciled to the change; when Parliament first met after the first election under the widened franchise, Wellington is reported to have said "I never saw so many shocking bad hats in my life". During debate on the Jewish Civil Disabilities Repeal Bill, Wellington, who opposed the Bill, stated in Parliament on 1 August 1833: "... this is a Christian country and a Christian legislature, and that the effect of this measure would be to remove that peculiar character." And "I see no ground whatever for passing the Bill; and shall, therefore, vote against it." The Bill was defeated, 104 votes against, and 54 for. 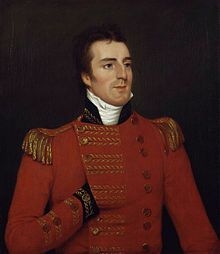 Wellington was gradually superseded as leader of the Tories by Robert Peel, while the party evolved into the Conservatives. When the Tories were returned to power in 1834, Wellington declined to become Prime Minister because he thought membership in Commons had become essential. The king reluctantly approved Peel, who was in Italy. So for three weeks in November and December 1834, Wellington acted as interim leader, taking the responsibilities of Prime Minister and most of the other ministries. In Peel's first cabinet (1834–1835), Wellington became Foreign Secretary, while in the second (1841–1846) he was a Minister without Portfolio and Leader of the House of Lords. Wellington was also re-appointed Commander-in-Chief of the British Army on 15 August 1842 following the resignation of Lord Hill. Wellington served as the leader of the Conservative party in the House of Lords, 1828–1846. Some historians have belittled him as a befuddled reactionary, but a consensus in the late 20th century depicts him as a shrewd operator who hid his cleverness behind the facade of a poorly informed old soldier. Wellington worked to transform the Lords from unstinting support of the Crown to an active player in political maneuvering, with a commitment to the landed aristocracy. He used his London residence as a venue for intimate dinners and private consultations, together with extensive correspondence that kept him in close touch with party leaders in the Commons, and the main persona in the Lords. He gave public rhetorical support to Ultra-Tory anti-reform positions, but then deftly changed positions toward the party's center, especially when Peel needed support from the upper house. Wellington's success was based on the 44 Elected peers from Scotland and Ireland, whose election he controlled. Upon his return from the Hanover Expedition in 1805, Wellesley received good news; owing to his new title and status, Kitty Pakenham's family had consented to his marrying her. Wellesley and Kitty were married in Dublin on 10 April 1806. The marriage would prove to be unsatisfactory and the two would spend years apart while Wellesley was campaigning. Kitty grew depressed, while Wellesley pursued other sexual and romantic partners. However the marriage produced two sons, Arthur, in 1807, and Charles, in 1808. They lived apart for most of the time and occupied separate rooms in the house when they were together. Her brother, Edward "Ned" Pakenham, served under Wellesley throughout the Peninsular War and Wellesley's regard for him helped to smooth his relations with Kitty, until Ned Pakenham's death at the Battle of New Orleans in 1815. Wellington retired from political life in 1846, although he remained Commander-in-Chief, and returned briefly to the spotlight in 1848 when he helped organise a military force to protect London during that year of European revolution. The Conservative Party had split over the Repeal of the Corn Laws in 1846, with Wellington and most of the former Cabinet still supporting Peel, but most of the MPs led by Lord Derby supporting a protectionist stance. Early in 1852 Wellington, by then very deaf, gave Derby's first government its nickname by shouting "Who? Who?" as the list of inexperienced Cabinet Ministers was read out in the House of Lords. He became Chief Ranger and Keeper of Hyde Park and St. James's Park on 31 August 1850. He was also colonel of the 33rd Regiment of Foot from 1 February 1806 and colonel of the Grenadier Guards from 22 January 1827. Kitty died of cancer in 1831; despite their generally unhappy relations, which had led to an effective separation, Wellington was said to have been greatly saddened by her death, his one comfort being that after "half a lifetime together, they had come to understand each other at the end". He had found consolation for his unhappy marriage in his warm friendship with the diarist Harriet Arbuthnot, wife of his colleague Charles Arbuthnot. Harriet's death in the cholera epidemic of 1834 was almost as great a blow to Wellington as it was to her husband. The two widowers spent their last years together at Apsley House. Wellington died at Walmer Castle in Deal on 14 September 1852. This was his residence as Lord Warden of the Cinque Ports. Walmer Castle was said to have been his favourite residence. He was found to be unwell on that morning and was aided from his military campaign bed (the same one he used throughout his historic military career) and seated in his chair where he died. His death was recorded as being due to the after-effects of a stroke culminating in a series of seizures. He was aged 83. Although in life he hated travelling by rail (after witnessing the death of William Huskisson, one of the first railway accident casualties), his body was then taken by train to London, where he was given a state funeral – one of only a handful of British subjects to be honoured in that way (other examples are Lord Nelson and Sir Winston Churchill) – and the last heraldic state funeral to be held in Britain. The funeral took place on 18 November 1852. At his funeral there was hardly any space to stand because of the number of people attending, and the effusive praise given him in Tennyson's "Ode on the Death of the Duke of Wellington" attests to his stature at the time of his death. He was buried in a sarcophagus of luxulyanite in St Paul's Cathedral next to Lord Nelson. A bronze memorial was sculpted by Alfred Stevens, and features two intricate supports: "Truth tearing the tongue out of the mouth of False-hood", and "Valour trampling Cowardice underfoot". Stevens did not live to see it placed in its home under one of the great arches of the Cathedral. Wellington's casket was decorated with banners which were made for his funeral procession. Originally, there was one from Prussia, which was removed during World War I and never reinstated. In the procession, the "Great Banner" was carried by General Sir James Charles Chatterton of the 4th Dragoon Guards on the orders of Queen Victoria. Most of the book A Biographical Sketch of the Military and Political Career of the Late Duke of Wellington by Weymouth newspaper proprietor Joseph Drew is a detailed contemporary account of his death, lying in state and funeral. After his death, Irish and English newspapers disputed whether Wellington had been born an Irishman or an Englishman. In 2002, he was number 15 in the BBC's poll of the 100 Greatest Britons. Owing to its links with Wellington, as the former commanding officer and colonel of the regiment, the title "33rd (The Duke of Wellington's) Regiment" was granted to the 33rd Regiment of Foot, on 18 June 1853 (the 38th anniversary of the Battle of Waterloo) by Queen Victoria. Wellington's battle record is exemplary; he participated in some 60 battles during the course of his military career. Wellington always rose early; he "couldn't bear to lie awake in bed", even if the army was not on the march. Even when he returned to civilian life after 1815, he slept in a camp bed, reflecting his lack of regard for creature comforts; it remains on display in Walmer Castle. 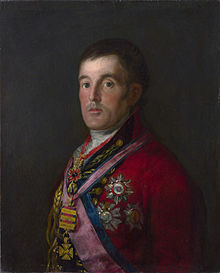 General Miguel de Álava complained that Wellington said so often that the army would march "at daybreak" and dine on "cold meat", that he began to dread those two phrases. While on campaign, he seldom ate anything between breakfast and dinner. During the retreat to Portugal in 1811, he subsisted on "cold meat and bread", to the despair of his staff who dined with him. He was, however, renowned for the quality of the wine that he drank and served, often drinking a bottle with his dinner (not a great quantity by the standards of his day). He rarely showed emotion in public, and often appeared condescending to those less competent or less well-born than himself (which was nearly everyone). However, Álava was a witness to an incident just before the Battle of Salamanca. Wellington was eating a chicken leg while observing the manoeuvres of the French army through a spyglass. He spotted an overextension in the French left flank, and realised that he could launch a successful attack there. He threw the drumstick in the air and shouted "Les français sont perdus!" ("The French are lost!"). After the Battle of Toulouse, an aide brought him the news of Napoleon's abdication, and Wellington broke into an impromptu flamenco dance, spinning around on his heels and clicking his fingers. Military historian Charles Dalton recorded that, after a hard-fought battle in Spain, a young officer made the comment, "I am going to dine with Wellington tonight", which was overheard by the Duke as he rode by. "Give me at least the prefix of Mr. before my name," Wellington said. "My Lord," replied the officer, "we do not speak of Mr. Caesar or Mr. Alexander, so why should I speak of Mr. Wellington?" His stern countenance and iron-handed discipline were renowned; he was said to disapprove of soldiers cheering as "too nearly an expression of opinion." Nevertheless, Wellington cared for his men; he refused to pursue the French after the battles of Porto and Salamanca, foreseeing an inevitable cost to his army in chasing a diminished enemy through rough terrain. The only time that he ever showed grief in public was after the storming of Badajoz; he cried at the sight of the British dead in the breaches. In this context, his famous dispatch after the Battle of Vitoria, calling them the "scum of the earth," can be seen to be fuelled as much by disappointment at their breaking ranks as by anger. He expressed his grief openly the night after Waterloo before his personal physician, and later with his family; unwilling to be congratulated for his victory, he broke down in tears, his fighting spirit diminished by the high cost of the battle and great personal loss. Following an incident when, as Master-General of the Ordnance he had been close to a large explosion, Wellington begun to experience deafness and other ear-related problems. In 1822, he had an operation to improve the hearing of the left ear. The result, however, was that he became permanently deaf on that side. It is claimed that he was "never quite well afterwards". Wellington had a "vigorous sexual appetite" and many amorous liaisons during his marriage to Kitty. He enjoyed the company of intellectual and attractive women for many decades, particularly after the Battle of Waterloo and his subsequent ambassadorial position in Paris. The British press lampooned this side of the national hero. In 1824, one liaison came back to haunt him, when Wellington received a letter from a publisher offering to refrain from issuing an edition of the rather racy memoirs of one of his mistresses Harriette Wilson, in exchange for financial consideration. It is said that the Duke promptly returned the letter, after scrawling across it, "Publish and be damned". However, Hibbert notes in his biography that the letter can be found among the Duke's papers, with nothing written on it. It is certain that Wellington did reply, and the tone of a further letter from the publisher, quoted by Longford, suggests that he had refused in the strongest language to submit to blackmail. He was also a remarkably practical man who spoke concisely. In 1851, it was discovered that there were a great many sparrows flying about in the Crystal Palace just before the Great Exhibition was to open. His advice to Queen Victoria was "Sparrowhawks, ma'am". Wellington has often been portrayed as a defensive general, even though many, perhaps most, of his battles were offensive (Argaum, Assaye, Oporto, Salamanca, Vitoria, Toulouse). But for most of the Peninsular War, where he earned his fame, his army lacked the numbers for a strategically offensive posture. Mount Wellington, a mountain located in Otsego County, New York is named after him. Wellington, the capital city of New Zealand. 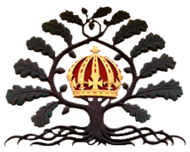 Wellington College, Berkshire, an independent boarding school, was founded by Queen Victoria and Prince Albert in his honour in 1859. This section is about a nickname of Wellington. For the metaphor it is based upon, see Iron (metaphor). For other uses, see Iron Duke (disambiguation). This commonly used nickname originally related to his consistent political resolve rather than to any particular incident. In various cases its editorial use appears to be disparaging. It is likely that its use became more widespread after an incident in 1832 in which he installed metal shutters to prevent rioters breaking windows at Apsley House. The term may have been made increasingly popular by Punch cartoons published in 1844–45. In the popular ballads of the day Wellington was called "Nosey" or "Old Nosey". Tsar Alexander I of Russia called Wellington "Le vainqueur du vainqueur du monde", the conqueror of the world's conqueror, the phrase "the world's conqueror" obviously referring to Napoleon. Lord Tennyson uses a similar reference in his "Ode on the Death of the Duke of Wellington," referring to him as "The great World-victor's victor." Officers under his command called him "The Beau", as he was a fine dresser. Spanish troops called him "The Eagle", while Portuguese troops called him "Douro Douro" after his river crossing at Oporto in 1809. "Beau Douro"; Wellington found this amusing when hearing it used by a Colonel of the Coldstream Guards. "Sepoy General"; Napoleon used this term as an insult to Wellington's military service in India, publicly considering him an unworthy opponent. The name was used in the French newspaper Le Moniteur Universel, as a means of propaganda. "The Beef"; It is a theory that the Beef Wellington dish is a reference to Wellington, although some chefs dispute this. His name was given to Wellington boots, after the custom-made boots he wore instead of traditional Hessian boots. ^ Kauffmann, C.M. ; Jenkins, Susan; Wieseman, Marjorie E. (2009) . Catalogue of Paintings in the Wellington Museum, Apsley House (PDF) (Revised ed.). English Heritage in association with Paul Holberton Publishing. p. 166. ISBN 978 1 903470 78 7. ^ a b Wellesley (2008). p. 16. ^ Gifford (1817). p. 375. ^ Severn (2007). p. 13. ^ Though 29 April is considered as more likely by some other earlier biographers including Ernest Marsh Lloyd, writing in the Dictionary of National Biography with some sources to support that view,Lloyd (1899), p. 170 Norman Gash writing in the more modern Oxford Dictionary of National Biography, on balance supports 1 May (Gash 2011). ^ Guedalla (1997). p. 480. However Lloyd (1899), p. 170 states "registry of St. Peter's Church, Dublin, shows that he was christened there on 30 April 1769". His baptismal font was donated to St. Nahi's Church in Dundrum, Dublin, in 1914. ^ Wellesley (2008). p. 16. 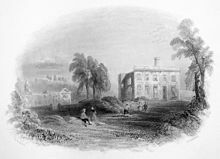 "Anne Mornington insisted that she remembered the details: 1 May 1769, at 6 Merrion Street, Dublin – an elegant new townhouse round the corner from St Stephen's Green, the largest public square in Europe." ^ Holmes (2002). p. 7. ^ Holmes (2002). pp. 6–7. ^ a b Holmes (2002). p. 8. ^ a b Holmes (2002). p. 9. ^ Holmes (2002). pp. 19–20. ^ a b Holmes (2002). p. 20. ^ a b c Holmes (2002). p. 21. ^ "No. 12836". The London Gazette. 6 March 1787. p. 118. ^ "No. 12959". The London Gazette. 26 January 1788. p. 47. ^ a b Holmes (2002). p. 22. ^ "No. 12958". The London Gazette. 22 January 1788. p. 40. ^ "No. 13121". The London Gazette. 8 August 1789. p. 539. ^ Holmes (2002). p. 23. ^ a b c Holmes (2002). p. 24. ^ "Regimental Archives". Duke of Wellington's Regiment (West Riding). Archived from the original on 27 December 2012. Retrieved 10 March 2012. ^ "No. 13347". The London Gazette. 27 September 1791. p. 542. ^ "No. 13488". The London Gazette. 25 December 1792. p. 976. ^ a b Holmes (2002). p. 25. ^ "History and Tour – Duke of Wellington". number10.gov.uk. Archived from the original on 11 June 2011. Retrieved 8 June 2011. ^ Holmes (2002). p. 26. ^ Holmes (2002). p. 27. ^ "No. 13542". The London Gazette. 29 June 1793. p. 555. ^ Holmes (2002). p. 28. ^ "No. 13596". The London Gazette. 23 November 1793. p. 1052. ^ a b Holmes (2002). p. 30. ^ Holmes (2002). p. 31. ^ a b Holmes (2002). p. 32. ^ a b c Holmes (2002). p. 33. ^ "No. 13892". The London Gazette. 14 May 1796. p. 460. ^ Holmes (2002). p. 34. ^ Holmes (2002). p. 40. ^ a b Holmes (2002). p. 41. ^ Longford (1971). p. 54. Wellington's first signature as Arthur Wellesley was on a letter dated 19 May 1798. ^ Holmes (2002). p. 42. ^ a b Holmes (2002). p. 49. ^ Holmes (2002). p. 44. ^ a b Holmes (2002). p. 47. ^ Holmes (2002). p. 51. ^ a b Holmes (2002). p. 53. ^ Holmes (2002). p. 56. ^ Holmes (2002). p. 57. ^ "The Battle of Seringapatam: Chronology, Macquarie University". Archived from the original on 22 July 2008. Retrieved 17 June 2008. ^ a b Holmes (2002). p. 58. ^ Bowring (1893). pp. 84–85. ^ Souvenir of Mysore Album. Curzon Collection. 1900. Retrieved 27 January 2015. ^ Holmes (2002). p. 59. ^ Holmes (2002). p. 60. ^ Holmes (2002). p. 62. ^ Holmes (2002). p. 67. ^ Jerdan, William; Workman, William Ring; Morley, John; Arnold, Frederick; Goodwin, Charles Wycliffe (1832). "Raising of the Anglo-Indian army". The Literary Gazette and Journal: 711. Retrieved 8 October 2017. ^ Frontier and Overseas Expeditions from India: The Egyptian Expedition. Calcutta: Superintendent Government Printing, India. 1911. pp. Vol. 6. Chapter 2. ^ Holmes (2002). p. 63. ^ Holmes (2002). p. 64. ^ a b Davies, p. 22. ^ a b Weller, p. 97. ^ Davies, pp. 33, 38. ^ Wellesley & Gurwood (ed), Vol. I, pp. 181, 190. ^ Wellesley & Gurwood (ed), Vol. I, p. 191. ^ a b Weller, p. 99. ^ Holmes (2002). p. 65. ^ a b c Holmes (2002). p. 69. ^ a b Holmes (2002). p. 73. ^ Holmes (2002). p. 74. ^ a b c Holmes (2002), p. 81. ^ a b Holmes (2002). p. 75. ^ a b Holmes (2002). p. 77. ^ a b Holmes (2002). p. 80. ^ Longford (1971). p. 93. ^ Millar (2006). p. 27. ^ a b Holmes (2002). p. 82. ^ Holmes (2002). p. 83. ^ Holmes (2002). p. 88. ^ a b Holmes (2002). p. 87. ^ Holmes (2002). p. 86. ^ a b c Holmes (2002). p. 84. ^ Holmes (2002). p. 85. ^ a b Holmes (2002). p. 92. ^ Robyn Williams interviews Medical Historian Dr Jim Leavesley (16 October 2005). "Ockham's Razor: 16 October 2005 – Horatio Nelson: 200th Anniversary of Trafalgar". abc.net.au. Retrieved 14 March 2012. ^ Lambert (2005). p. 283. ^ Roberts (2003). pp. xxiii. ^ a b c d e Neillands (2003). p. 38. ^ "No. 15908". The London Gazette. 8 April 1806. p. 449. ^ a b c Neillands (2003). p. 39. ^ Holmes (2002). pp. 102–103. ^ Longford (1971). pp. 148–154. ^ Longford (1971). pp. 155–157. ^ Holmes (2002). p. 124. ^ Longford (1971). p. 171. ^ Longford (1971). p. 172. ^ Longford (1971). p. 117. ^ Longford (2012). p. 118. ^ Gates (2002). p. 177. ^ Guedalla (1997). p. 186. ^ Longford (2012). p. 134. ^ Longford (2012). pp. 134–150. ^ a b Muir (2013). p. 343. ^ "No. 16291". The London Gazette. 22 August 1809. p. 1342. ^ Longford (1971). pp. 225–230. ^ Longford (1971). pp. 235–240. ^ Longford (2012). p. 163. ^ Longford (1971). pp. 251–254. ^ Longford (1971). p. 257. ^ Longford (1971). pp. 254–256. ^ Longford (2012). p. 168. ^ a b Holmes (2002). p. 162. ^ Longford (1971). pp. 283–287. ^ "No. 16576". The London Gazette. 18 February 1812. p. 335. ^ "No. 16636". The London Gazette. 18 August 1812. p. 1677. ^ Holmes (2002). p. 168. ^ Gates (2002). p. 366. Notes: "While, in view of the developing strategic situation, is not clear what Wellesley hoped to gain by its seizure, he had resolved to take the fortress—a task which he evidently believed could be easily accomplished; for, notwithstanding the sanguinary lessons that virtually all his sieges had given him and the availability of scores of heavy cannon captured at Ciudad Rodrigo and Madrid, he brought up only eight heavy guns to breach the defences. This force was to prove lamentably inadequate and, in this and other aspects of the operation, Wellesley's complacency and ineptitude were to cost his troops dear." ^ Longford (1971). pp. 297–299. ^ Holmes (2002). p. 189. ^ Wellington to Bathurst, dispatches, p. 496. ^ Haythornthwaite (1998). p. 7. ^ Longford (1971). p. 332. ^ "No. 16934". The London Gazette. 13 September 1814. p. 1850. ^ Longford (1971). p. 336. ^ "No. 16934". The London Gazette. 13 September 1814. p. 1851. ^ Longford (1971). p. 342. ^ Longford (1971). pp. 344–345. ^ Longford (2012). p. 228. ^ "No. 16894". The London Gazette. 3 May 1814. p. 936. ^ "Bernard Cornwell – Britain's Storyteller". HarperCollins Publishers. Archived from the original on 11 June 2010. Retrieved 13 October 2009. ^ Tina Bicât (2003). Period Costume for the Stage. Ramsbury, UK: Crowood Press. pp. 65–66. ISBN 978-1-86126-589-0. ^ "No. 16915". The London Gazette. 9 July 1814. p. 1389. ^ "No. 16972". The London Gazette. 4 January 1815. p. 18. ^ Barbero (2005). p. 2. ^ Longford (1971). pp. 396–407. ^ Longford (1971). p. 410. ^ Longford (1971). pp. 423–432. ^ Hibbert (1997). pp. 175–176. ^ Adkin (2001). p. 37. ^ McGreevy, Ronan (18 June 2015). "Just how many Irish fought at the Battle of Waterloo?". Irish Times. Dublin. Retrieved 7 September 2016. ^ a b Chisholm, Hugh, ed. (1911). "Waterloo Campaign" . Encyclopædia Britannica. 28 (11th ed.). Cambridge University Press. pp. 371–381. ^ a b Siborne (1990). p. 439. ^ a b Hofschröer (1999). p. 122. ^ Chandler (1987), p. 373. ^ Adkin (2001). p. 361..
^ a b c Chesney (1907). pp. 178–179. ^ a b Parry (1900). p. 70. ^ Great Britain. Foreign Office, Great Britain (1838). British and foreign state papers. H.M.S.O. Retrieved 17 March 2012. ^ Cawthorne (2015). p. 90. ^ Adkin (2001). p. 49. ^ Feldzug von 1815: Strategische Uebersicht des Feldzugs von 1815, in Carl von Clausewitz, Schriften—Aufsätze—Studien—Briefe, 2 volumes in 3, edited by Werner Hahlweg (Göttingen: Vandenhoeck & Ruprecht, 1966–90), volume 2, part 2: 936–1118. ^ Christopher Bassford, "Introduction," in Carl von Clausewitz and Arthur Wellesley, 1st Duke of Wellesley, On Waterloo: Clausewitz, Wellesley, and the Campaign of 1815, ed./trans. Christopher Bassford, Daniel Moran, and Gregory W. Pedlow (Clausewitz.com, 2010). ^ "No. 17434". The London Gazette. 26 December 1818. p. 2325. ^ "No. 17525". The London Gazette. 16 October 1819. p. 1831. ^ Holmes (2002). p. 268. ^ "No. 18327". The London Gazette. 23 January 1827. p. 153. ^ "No. 18335". The London Gazette. 13 February 1827. p. 340. ^ Holmes (2002). pp. 270–271. ^ "No. 18543". The London Gazette. 23 January 1829. p. 129. ^ Bloy, Marjorie (2011). "The Peel Web-Wellington's speeches on Catholic Emancipation". A Web of English History. Retrieved 6 April 2011. ^ Hansard XIX, 11 March 1811. cc.350–356. ^ Holmes (2002). p. 277. ^ Thompson, N. Wellington after Waterloo, pg 95. ^ a b Holmes (2002). p. 275. ^ "The Duel: Wellington versus Winchilsea". King's College London. Retrieved 4 September 2008. ^ a b "The Odious Imposts". Freeman's Journal and Daily Commercial Advertiser. Dublin, Ireland. 14 June 1830. Notes: "If the Irish Question be lost, Ireland has her Representatives to accuse for it still more than the iron Duke and his worthy Chancellor"
^ a b "County Meetings". Freeman's Journal and Daily Commercial Advertiser. Dublin, Ireland. 16 June 1830. Notes: "One fortnight will force the Iron Duke to abandon his project"
^ a b "Dublin, Monday, June 28". Freeman's Journal and Daily Commercial Advertiser. Dublin, Ireland. 28 June 1830. Notes: "Let the 'Iron Duke' abandon the destructive scheme of Goulburn." ^ Bloy, Marjorie (2011). 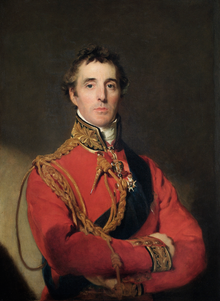 "Biography-Arthur Wellesley, first Duke of Wellington (1769–1852)". A Web of English History. Archived from the original on 7 June 2011. Retrieved 28 May 2011. ^ a b "London". Freeman's Journal and Daily Commercial Advertiser. Dublin, Ireland. 14 June 1832. Notes: "iron shutters are being fixed, of a strength and substance sufficient to resist a musket ball"
^ Holmes (2002). p. 281. ^ Holmes (2002). p. 283. ^ Holmes (2002). p. 288. ^ Wellesley Wellington (Duke of), Arthur (1854). The Speeches of the Duke of Wellington in Parliament, Volume 1 (1854). London: W. Clowes & Sons. pp. 671–674. Retrieved 10 March 2012. ^ Holmes (2002). p. 289. ^ Holmes (2002). pp. 291–292. ^ "No. 20130". The London Gazette. 16 August 1842. p. 2217. ^ Richard W. Davis, "Wellington" Parliamentary History (2003) 22#1 pp 43–55. ^ Holmes (2002). p. 96. ^ a b "BBC Two – Wellington: The Iron Duke Unmasked". BBC. Retrieved 10 May 2015. ^ Holmes (2002). p. 292. ^ "No. 21132". The London Gazette. 3 September 1850. p. 2396. ^ "No. 15885". The London Gazette. 28 January 1806. p. 128. ^ "No. 18327". The London Gazette. 23 January 1827. p. 154. ^ Corrigan (2006). p. 353. ^ a b Bloy, Marjorie (2011). "Biography-Arthur Wellesley, first Duke of Wellington (1769–1852)". A Web of English History. Archived from the original on 14 May 2011. Retrieved 6 April 2011. ^ The Times, Thursday, 18 November 1852; p. 5; Issue 21276; col A: Funeral of the Duke of Wellington [Announcement of arrangements] and The Times, Friday, 19 November 1852; p. 5; Issue 21277; col A: [Report of the event]. ^ "No. 21381". The London Gazette. 16 November 1852. p. 3079. ^ Holmes (2002). p. 297. ^ "Model for Wellington Monument: Truth and Falsehood". Victoria and Albert Museum. Retrieved 21 September 2014. ^ "Discover the Crypt". St Paul's Cathedral. Retrieved 27 February 2011. ^ Dalton 1904, p. 77. ^ Sinnema (2006). pp. 93–111. ^ "Preamble to History". Archived from the original on 3 February 2014. Retrieved 12 March 2012. ^ Roberts, Andrew (17 February 2011). "The Duke of Wellington: Soldiering to Glory". BBC. Retrieved 27 November 2009. ^ Holmes (2002). p. 177. ^ Boys, Thomas Shotter (1852). "Duke of Wellington's bedroom". Retrieved 1 June 2011. ^ Holmes (2002). p. 175. ^ Hibbert (1997). p. 111. ^ Longford (1971). p. 356. ^ Holmes (2002). p. 166. ^ Glover (2001). p. 334. ^ Dalton 1904, p. 9. ^ Gere (1981). p. 5. ^ Holmes (2002). pp. 250,254. ^ Montgomerie (1955). p. 31. ^ Cathcart, Brian (20 March 1994). "When Wellington said publish and be damned: The Field Marshal and the Scarlet Woman". London: The Independent. Retrieved 27 February 2011. ^ Hibbert (1997). p. 389. ^ Holmes (2002). pp. xvi. ^ Rothenberg (1999). p. 136. ^ Wakefield, Edward Jerningham (1845). Adventure in New Zealand. 1. John Murray. ^ "The Wellington College". Darwin Property. Retrieved 11 March 2019. ^ "BBC History". Retrieved 27 February 2011. ^ R.E.Foster. "Mr Punch and the Iron Duke". Retrieved 29 May 2011. ^ Holmes (2002). pp. 285–288, 302–303. ^ Rory Muir (2013). Wellington: Waterloo and the fortunes of peace, 1814–1852. p. 472. ISBN 9780300187861. ^ Cornwell, Bernard (2014). Waterloo – The History of Four Days, Three Armies and Three Battles. p. 10. ^ Alfred Lord Tennyson (1900). Tennyson: Including Lotos Eaters, Ulysses, Ode on the Death, Maud, The Coming and the Passing of Arthur. p. 10. ^ a b Holmes (2002). p. 178. ^ Morgan (2004). p. 135. ^ Roberts, Andrew. "Napoleon & Wellington". Archived from the original on 15 April 2011. Retrieved 2 June 2011. ^ Roberts (2003). pp. 74, 78–79. ^ Scott, Wright (2006) p. 26. ^ "Wellington Boot History and Background". Retrieved 1 June 2011. Adkin, Mark (2001). The Waterloo Companion: The Complete Guide to History's Most Famous Land Battle. Aurum Press. ISBN 978-1-85410-764-0. Barbero, Alessandro (2005). The Battle: A New History Of Waterloo. Walker & Company. ISBN 978-0-8027-1453-4. Bowring, Lewin B. (1974). Haidar Ali and Tipu Sultan, And The Struggle with the Musalman Powers of the South. Delli: Idarah-I Adabiyat-I. ISBN 978-81-206-1299-0. Cawthorne, Chris (2015). The Origin and Numismatics of the British Waterloo Medal Orders & Medals Research Society Journal, June 2015. Volume 54, number 2. ISSN 1474-3353. Chesney, Charles C. (1907). Waterloo Lectures: A Study Of The Campaign Of 1815. Longmans, Green, and Co. ISBN 978-1-4286-4988-0. Chandler, David (1987). Napoleon's Marshals. London: Weidenfeld & Nicolson. ISBN 978-0-297-79124-9. Clausewitz, Carl von; Wellesley, Arthur, First Duke of Wellington (2010), Christopher Bassford, Daniel Moran, Gregory Pedlow (eds. ), On Waterloo: Clausewitz, Wellington, and the Campaign of 1815, Clausewitz.com, ISBN 978-1-4537-0150-8 CS1 maint: Uses editors parameter (link) This on-line text contains Clausewitz's 58-chapter study of the Campaign of 1815 and Wellington's lengthy 1842 essay written in response to Clausewitz, as well as supporting documents and essays by the editors. Corrigan, Gordon (2006). Wellington: A Military Life. London: Hambledon Continuum. ISBN 978-1-85285-515-4. Dalton, Charles (1904). The Waterloo roll call. With biographical notes and anecdotes. London: Eyre and Spottiswoode. Davies, Huw J. (2012). Wellington's Wars: The Making of a Military Genius. London: Yale University Press. ISBN 978-0300208658. Gates, David (2002). The Spanish Ulcer: A History of the Peninsular War. Pimlico. ISBN 978-0-7126-9730-9. Gere, J.A. (1981). Sparrow, John (ed.). Geoffrey Madan's Notebooks. Oxford University Press. ISBN 978-0-19-215870-3. Gifford, C.A. (1817). The Life of the Most Noble Arthur, Duke of Wellington. London: W.Lewis. Glover, Michael (2001). The Peninsular War 1807–1814: A Concise Military History. London: Penguin Books. ISBN 978-0-14-139041-3. Griffiths, Major Arthur (1897). The Wellington Memorial: Wellington, His Comrades and Contemporaries, chapters IV and 211. Ballantyne, Hanson & Co.
Guedalla, Philip (1997). The Duke. Wordsworth Editions. ISBN 978-1-85326-679-9. Haythornthwaite, Philip J (1998). Weapons & Equipment of the Napoleonic Wars. London: Weidenfeld & Nicolson. ISBN 978-1-85409-495-7. Hibbert, Christopher (1997). Wellington: A Personal History. Da Capo Press. ISBN 978-0-201-63232-3. Hofschröer, Peter (1999). 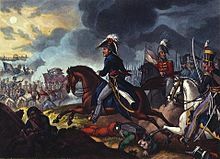 1815: The Waterloo Campaign: The German Victory. Greenhill Books. ISBN 978-1-85367-368-9. Holmes, Professor Richard (2002). Wellington: The Iron Duke. London: Harper Collins Publishers. ISBN 978-0-00-713750-3. Lambert, Andrew (2005). Nelson: Britannia's God of War. London: Faber and Faber. ISBN 978-0-571-21227-9. Lloyd, Ernest Marsh (1899). "Wellesley, Arthur" . In Lee, Sidney (ed.). Dictionary of National Biography. 60. London: Smith, Elder & Co. p. 170. Longford, Elizabeth (1971). Wellington: The Years of The Sword. HarperCollins Publishers. ISBN 978-0-586-03548-1. Longford, Elizabeth (2012). Wellington. London: Weidenfeld & Nicolson. ISBN 978-0-349-12350-9. Millar, Simon (2006). Assaye 1803: Wellington's Bloodiest Battle. Osprey. ISBN 978-1-84603-001-7. Montgomerie, Viva Seton (1955). My Scrapbook of Memories. Privately published. Morgan, Matthew (2004). Wellington's Victories: A Guide to Sharpe's Army. London: Andrews McMeel Publishing. ISBN 978-1-84317-093-8. Neillands, Robin (2003). Wellington & Napoleon: Clash of Arms. Pen & Sword Books. ISBN 978-0-85052-926-5. O'Connell, Daniel (1844). Shaw's Authenticated Report of the Irish State Trials. H. Shaw. Parry, D.H. (1900). Battle of the nineteenth century. 1. London: Cassell and Company. Archived from the original on 16 December 2008. Roberts, Andrew (2003). Napoleon and Wellington: The Long Duel. Phoenix. ISBN 978-0-7538-1390-4. Rothenberg, Gunther E. (1999). Keegan, John (ed.). The Napoleonic Wars. London: Cassell & Co. ISBN 978-0-304-35267-8. Scott, Johnny; Wright, Clarissa D. (2006). Sunday Roast. Kyle Cathie. ISBN 978-1-85626-672-7. Severn, John (2007). Architects of Empire: The Duke of Wellington and His Brothers. University of Oklahoma Press. ISBN 978-0-8061-3810-7. Siborne, William (1990). The Waterloo Campaign. London: Greenhill Books. ISBN 978-1-85367-069-5. Sinnema, Prof. Peter W. (2006). The Wake of Wellington: Englishness in 1852. Ohio University Press. ISBN 978-0-8214-1679-2. Summerville, Christopher J (2007). Who was who at Waterloo: a biography of the battle. Pearson Education. ISBN 978-0-582-78405-5. Weller, Jac (1993) [1st pub. 1972]. Wellington in India. London: Greenhill Books. ISBN 978-1853673979. Wellesley, Jane (2008). Wellington: A Journey Through My Family. London: Orion Publishing Group. ISBN 978-0-297-85231-5. Freeman's Journal and Daily Commercial Advertiser. Dublin. 1830. Wikisource has the text of the 1911 Encyclopædia Britannica article Wellington, Arthur Wellesley, 1st Duke of. Brett-James, Antony, ed. (1961). Wellington at War 1794–1815. New York: St. Martin's Press. Bryant, Arthur (1972). The Great Duke: Or, The Invincible General. Morrow. OCLC 410380. Coates, Berwick (2003). Wellington's Charge: A Portrait of the Duke's England. London: Robson Books. ISBN 978-1-86105-653-5. Davies, Huw (2012). Wellington's War: The Making of a Military Genius. Yale University Press. ISBN 978-0-300-16417-6. Ellis, Peter Berresford (2000). The Celtic Revolution: A Study in Anti-Imperialism. Talybont, Wales: Y LotraCyf. ISBN 978-0-86243-096-2. Harrington, Jack (2011). Sir John Malcolm and the Creation of British India. New York: Palgrave Macmillan. ISBN 978-0-230-10885-1. Hilbert, Charles (2005). Arthur Wellesley, Duke of Wellington, time and conflicts in India on behalf of the British East India Company and the British crown. 7. Military Heritage. Hutchinson, Lester (1964). European Freebooters in Mogul India. New York: Asia Publishing House. Snow, Peter (2010). To War with Wellington, from the Peninsula to Waterloo. London: John Murray. ISBN 978-1-84854-103-0. Ward, S.G.P. (1957). Wellington's Headquarters: A Study of the Administrative Problems in the Peninsula 1809–1814. Oxford University Press. Weller, Jac (1998). Wellington at Waterloo. London: Greenhill Books. ISBN 978-1-85367-339-9. Wellesley, Arthur; Gurwood, John (1838). The dispatches of Field Marshal the Duke of Wellington: During his various campaigns in India, Denmark, Portugal, Spain, the Low Countries, and France, from 1799 to 1818 Vol. X.. London: John Murray. Lundy, Darryl. "p. 10256 § 102559". The Peerage. napoleonistyka.atspace.com. "Arthur Wellesley, Duke of Wellington". Napoleon, His Army and Enemies. "Archival material relating to Arthur Wellesley, 1st Duke of Wellington". UK National Archives. The Battle of Waterloo was fought on Sunday, 18 June 1815 near Waterloo in Belgium, part of the United Kingdom of the Netherlands at the time. A French army under the command of Napoleon Bonaparte was defeated by two of the armies of the Seventh Coalition: a British-led allied army under the command of the Duke of Wellington, and a Prussian army under the command of Field Marshal Blücher. The battle marked the end of the Napoleonic Wars. Marshal General Jean-de-Dieu Soult, 1st Duke of Dalmatia, was a French general and statesman, named Marshal of the Empire in 1804 and often called Marshal Soult. Soult was one of only six officers in French history to receive the distinction of Marshal General of France. The Duke also served three times as President of the Council of Ministers, or Prime Minister of France. Duke of Wellington is a title in the Peerage of the United Kingdom. 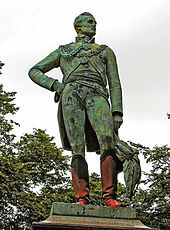 The name derived from Wellington in Somerset, and the title was created in 1814 for Arthur Wellesley, 1st Marquess of Wellington, the Anglo-Irish military commander who is best known for leading the decisive victory with Field Marshal von Blücher over Napoleon's forces at Waterloo in Brabant. Wellesley later served twice as British prime minister. Lieutenant-General Arthur Richard Wellesley, 2nd Duke of Wellington,, styled Lord Douro between 1812 and 1814 and Marquess of Douro between 1814 and 1852, was a British soldier and politician. The eldest son of Arthur Wellesley, 1st Duke of Wellington, victor of Waterloo and Prime Minister, he succeeded his father in the dukedom in 1852 and held minor political office as Master of the Horse from 1853 to 1858. In 1858 he was made a Knight of the Garter. Château d'Hougoumont is a large farmhouse situated at the bottom of an escarpment near the Nivelles road in Braine-l'Alleud, near Waterloo, Belgium. The escarpment is where British and other allied forces faced Napoleon's Army at the Battle of Waterloo on 18 June 1815. Prince of Waterloo is a title in the Dutch and Belgian nobility, held by the Duke of Wellington. The title was created by King William I of the Netherlands for Field Marshal Arthur Wellesley, 1st Duke of Wellington as a victory title in recognition of defeating Napoleon at the Battle of Waterloo in 1815. The Duke of Wellington and all his descendants along male line belong to Dutch and Belgian nobility, in which all the descendant dukes carry the title of "Prince of Waterloo" with the style "Serene Highness". The rest of his family retain the Dutch honorific Jonkheer or Jonkvrouw. Common law is that nobility and accompanying titles inherit along male line. The Battle of Talavera was fought just outside the town of Talavera de la Reina, Spain some 120 kilometres (75 mi) southwest of Madrid, during the Peninsular War. At Talavera, an Anglo-Spanish army under Sir Arthur Wellesley combined with a Spanish army under General Cuesta in operations against French-occupied Madrid. The French army withdrew at night after several of its attacks had been repulsed. The Battle of Wavre was the final major military action of the Hundred Days campaign and the Napoleonic Wars. It was fought on 18–19 June 1815 between the Prussian rearguard, consisting of the Prussian III Corps under the command of General Johann von Thielmann and three corps of the French army under the command of Marshal Grouchy. A blocking action, this battle kept 33,000 French soldiers from reaching the Battle of Waterloo and so helped in the defeat of Napoleon at Waterloo. Lieutenant-General Sir Colin Campbell was a British Army officer and colonial governor. Arthur Wellesley, 1st Duke of Wellington was an Anglo-Irish soldier and statesman and one of the leading military and political figures of the 19th century. His military career culminated at the Battle of Waterloo, where, along with Blücher, he defeated the forces of Napoleon Bonaparte. He was also twice Tory Prime Minister of the United Kingdom. During his life, Wellington received numerous honours, titles and awards throughout his career as a statesman and soldier. These include awards, statues and monuments, as well as buildings and places named after him. The Battle of Mallavelly was fought on 27 March 1799 between forces of the British East India Company and the Kingdom of Mysore during the Fourth Anglo-Mysore War. The British forces, led by General George Harris and Colonel Arthur Wellesley, drove the Mysorean force of Tipu Sultan from a defensive position designed to impede the British force's progress toward Mysore's capital, Seringapatam. Arthur Wellesley, 1st Duke of Wellington,, was one of the leading British military and political figures of the 19th century. Often referred to only as "The Duke of Wellington", he led a successful military career in India during the Fourth Anglo–Mysore War (1798–99) and the Second Anglo-Maratha War (1803–1805), and in Europe during the Napoleonic Wars (1803–1815). This is a non-fiction bibliography of works about the Napoleonic Wars as selected by editors. Brigadier Arthur Valerian Wellesley, 8th Duke of Wellington,, styled Marquess of Douro between 1943 and 1972, was a senior British peer and a brigadier in the British Army. His main residence was Stratfield Saye House in Hampshire. The equestrian statue of the Duke of Wellington is an outdoor sculpture of Arthur Wellesley, 1st Duke of Wellington, a British soldier and statesman, located at the Royal Exchange in London. It overlooks Bank junction in the historic City of London. 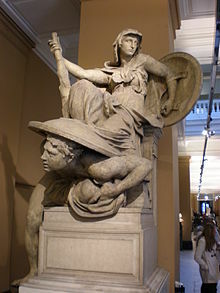 The sculptor was Francis Leggatt Chantrey. The statue commemorates Wellington's assistance to the City of London in ensuring a bill was passed to allow the rebuilding of London Bridge. The Royal Waggon Train was the name originally given to the Supply and Transport branch of the British Armed Forces, which would eventually become the Royal Logistic Corps.